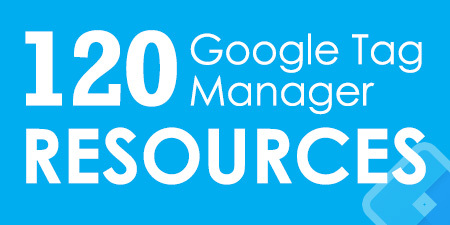 Let me guess how you landed on this page: you heard people around you talking about this tool called Google Tag Manager (GTM). Actually, you keep noticing this name more and more often in forums, various events, etc. Some say that it will help you track visitors much easier, while others promise that you won’t need developers anymore, you’ll be able to install tracking codes/pixels all by yourself. 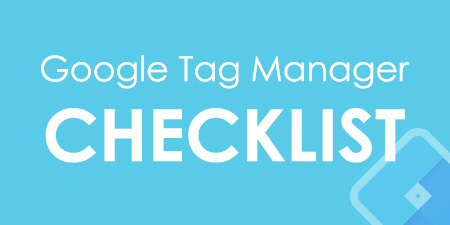 In this article, I’ll explain why you should use Google Tag Manager and what it’s good for. In plain English. Before we dive deeper why you should use Google Tag Manager, let me give you a quick overview of the tool itself. Google Tag Manager is a free software from Google that allows you to install various types of code (tags) to your website. Good examples of tags are Google Analytics tracking code, Google Analytics event codes, Adwords conversion script and remarketing tags. There are many more types of code that can be added to your website using GTM, including custom codes. Some people confuse Google Tag Manager with Google Analytics, asking which one should they use. Actually, the answer is that they should use both. In my other blog post, I explain what are the differences between Google Analytics and Google Tag Manager. So if you’re new to it, definitely check it out. Prior to GTM, GA tracking codes had to be hard-coded, usually by a web developer on each individual page. Having hundreds of events is very difficult when it comes to maintaining/updating them. But Google Tag Manager solves this problem because all your tags are stored in one place, your GTM account. Imagine Google Tag Manager like a toolbox, where you keep all your tools: a ruler (Google Analytics), a hammer (Google Adwords), etc. Google Tag Manager also lets you test your tags to make sure they are triggered when you load the right page or click a particular button. Another great benefit: you can change your tags and the way they work without actually changing the source code of your website (which you may not be able to do because of slow release cycles or busy schedule of developers) – instead you just edit tags in GTM user interface and publish changes with a click of a button. 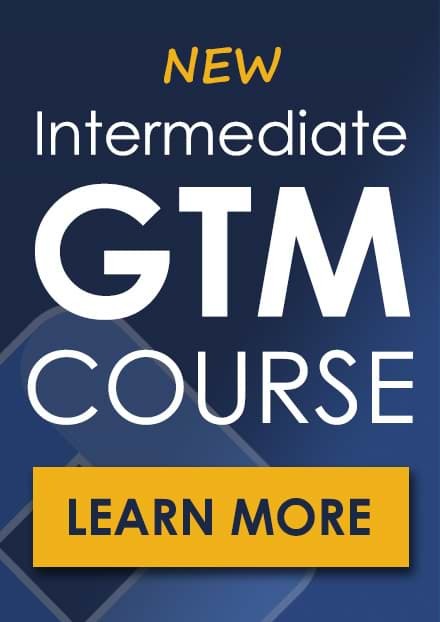 If you’re interested in learning more about GTM, feel free to download the free guide by entering your email address in the form below. A marketer (analyst, or anyone else) decides to start using new marketing platform to track user behavior. He/she get a tracking code and sends it to a developer. The developer says he’s busy and will do that next week. What if you need to track additional events? In that case, you’ll need to write a detailed task, send emails back-and-forth with the developer in order to get those codes installed. This can take even more than several weeks. What if I said that you could avoid the developer (in most cases) and implement those tracking codes by yourself? With Google Tag Manager, this dream comes true. 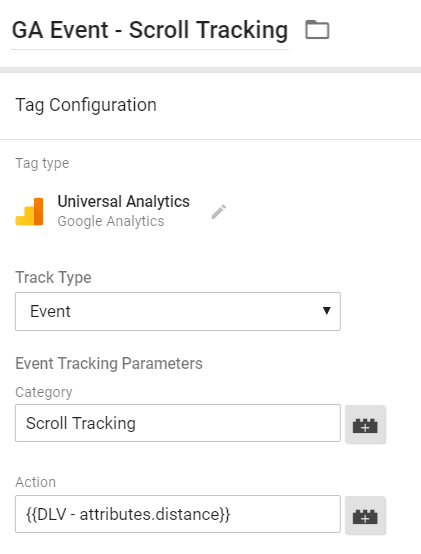 Every tracking code is called a tag and you can manage them via GTM interface. Google Tag Manager speeds up many processes. New tags can be added rapidly and a lot of them do not require code changes to the website. This is a great tool for marketers because it can really speed up launch time by testing each change themselves and deploying when ready. In fact, Lunametrics have published a short case study where their client experienced a 600% improvement in tag implementation time. And that’s exactly why I put this reason as #1 item in the list of reasons why you should use Google Tag Manager. But it’s definitely not the last. Thanks to GTM, this process is made easier: all tags are controlled in one place. Troubleshooting and correcting tag errors is simplified via Google Tag Manager Preview and Debug mode that shows which tags are fired on a page and which are not. It also includes information about triggers that fire tags and data contained within tracking tags. Why is it important? With GTM debugging solutions, you’re making sure that your tags work before you publish them to the live site. Also, let’s not forget other useful browser extensions such as Tag Assistant. I’ve listed a lot more of them in a blog post called Top Google Tag Manager Extensions for Chrome. Another awesome reason why you should use Google Tag Manager is a possibility to export all tags, triggers, and variables into a single file (which can be imported later). What does it mean? Well, you can create your own templates with commonly used tracking codes/settings. This is especially useful for agencies who have to implement standard Google Analytics events over and over again, e.g. page view tracking, outbound link clicks, etc. In fact, this feature is so popular that my library of Free GTM Recipes (templates) is one of the most visited sections of this blog. Go ahead, click this link, download any template you like, follow instructions, and start tracking in minutes. Nothing much to add here, actually. 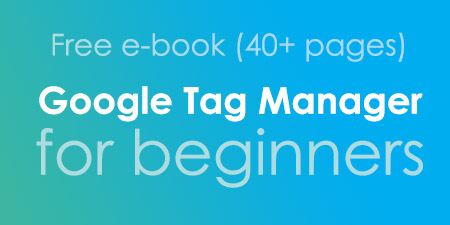 Just like Google Analytics, Google Tag Manager is free. Although there’s a premium version of it in Google Analytics 360 Suite, the free version is more than enough for a lot of business (small and medium). Once you enable certain trigger in Google Tag Manager, it will start automatically listening to particular interactions on a web page. There is still some setup required, but it is relatively easy to do. You can use those interactions to fire tracking codes, e.g. Google Analytics Event Tag. Time spent on a page, etc. But wait, there’s more! Thanks to the growing community of GTM users and enthusiasts, the number of auto-event tracking functions constantly increases. You can also add custom features that record things such as scroll depth, Facebook Likes, intentions to leave a page, new comments, and much more. Why is this important? Well, it empowers you to gain insight into what actions users take on your website. Are they engaging with the content? Are they filling in your forms? You can then use these events to create goals specific to your business needs in Google Analytics. GTM comes with a number of important built-in tags for classic and Universal Analytics, AdWords conversions, remarketing, and more. This allows a marketer with little or no coding knowledge to customize tags, without implementing a complicated code or asking for developer’s help. Currently, there are more than 80 templates at your disposal and the number is expected to grow in the future. Every time you publish a change to a container (where your tracking codes are stored), GTM creates a new version. If at any time you need to restore to a previous (or any other existing) version, you can do really easily. Accidentally published changes to a live site although some tags were still incomplete? Not a problem. 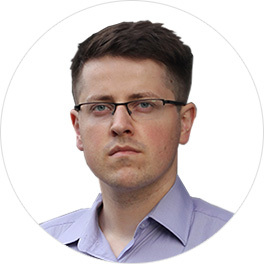 Just head over to Versions page and publish a previous version. That’s an easy way to solve all Ooops… moments. As for other two features (workspaces and environments), they are great for enterprises with multiple teams that can make changes to the website, companies working with outside vendors, or projects that can span weeks or months. Environments enable you to control your tag manager installation across live/production websites or apps, and their development/staging counterparts. This tag manager feature lets you publish your tags to different environments, for example, a testing server, so you don’t affect or change your live version when publishing. Workspaces enable several team members to work in the same Google Tag Manager container without overwriting each other’s changes. After their job is done, changes of both workspaces are merged into one essence. Google automatically scans all tracking scripts added with Custom HTML tags in GTM accounts and pauses if they match a known malware domain, IP address or URL. Additionally, you can control who has access to your GTM accounts and can revoke access at any time. You can also set up Whitelists or Blacklists by adding some commands to your data layer on your website. This is controlled by the website server, so even if GTM gets compromised you’ll have final say over whether or not Custom Tracking Scripts are allowed to run on your site. Google Tag Manager allows you to give account access to multiple people, with different levels of viewing, editing and publishing privileges. This feature provides convenience for agencies wanting to give multiple employees access or needing to share access with clients while ensuring only certain individuals have master control. You can choose from the following permission levels. Google is known for launching and killing a lot of products, like Google Glasses, RSS Reader, etc. 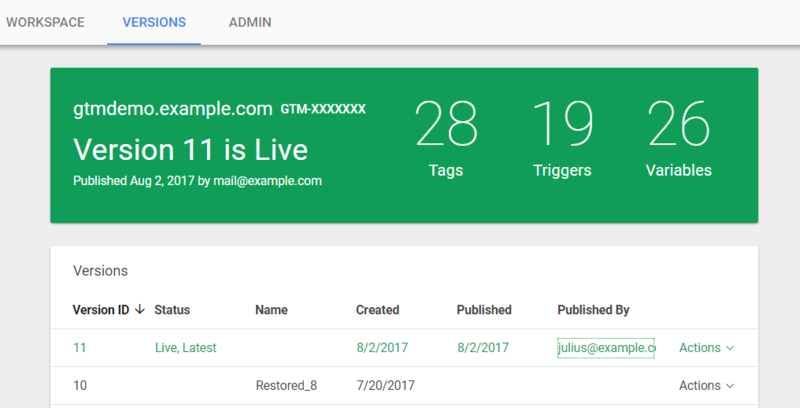 But it looks like Google Tag Manager isn’t going away anytime soon: its popularity is growing, more and more people are using it as their work tool, the number of free and paid GTM resources is also constantly increasing. But don’t trust my word. Here’s what the data says (source: Google Trends). Although the growth has slowed down, let’s see where this leads us in the future. I hope it helped you decide to start using GTM or to convince someone else to do it. In my opinion, starting to use Google Tag Manager is a no-brainer. It’s a relatively easy-to-use solution to control tracking codes in one place. Obviously, if you want to track more complex stuff, you’ll definitely need to invest some time in order to learn (there are free and paid options). But from my experience, learning was really fun, interesting, and engaging. 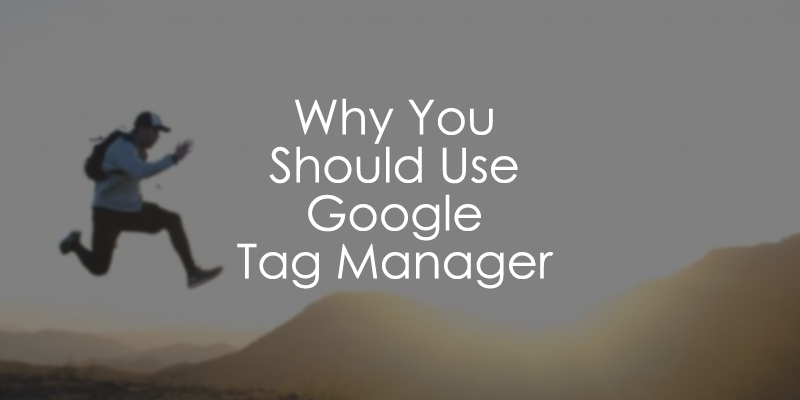 Finally, I don’t think that I listed ALL the reasons why you should use Google Tag Manager. I’m pretty sure there are still some I’ve forgotten or haven’t discovered yet. Did I miss anything? Let me know in the comments.